"Live a Longer, Happier, Heart Healthy Life". 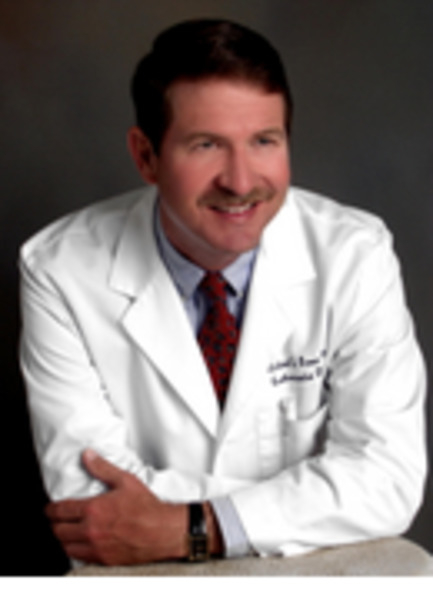 Michael D. Ozner, M.D. is a board certified cardiologist, a Fellow of the American College of Cardiology and American Heart Association, Medical Director of Wellness and Prevention at Baptist Hospital of Miami and a well known regional and national speaker in the field of preventative cardiology. Dr. Ozner is a clinical Professor of Medicine and Cardiology at the University of Miami School of Medicine, and he is Chairman of the American Heart Association of Miami. In addition, he is Medical Director of Cardiovascular Prevention Institute of South Florida and symposium director for "Cardiovascular Disease Prevention", an annual national meeting highlighting advances in the field of preventive cardiology. He has appeared on radio and tv and has been featured in newspaper articles discussing heart disease prevention. Dr. Ozner is author of the books: Prevent Your First Heart Attack and The Miami Mediterranean Diet. Current Speeches ~ The Keys to Longevity~ America's pioneer in preventive nutrition shows audiences the evidence-based diet, excercise, and stress reduction techniques that will dramatically reduce their chances of heart disease, diabetes, stroke, cancer, and obesity. He presents and analyzes the long-term medical studies supporting his findings that a Mediterranean diet and lifestyle contribute to long, healthy life. ~ How You Can Reduce Health-Care Costs ~ Dr. Ozner shows audiences which current health medications, tests, and procedures are a waste of money, and offers better, safer, cheaper ways to manage heart disease and the other diet-related conditions that cost Americans millions of dollars each year in health care and lost work. ~The Ugly Side of " Cosmetic Cardiology" ~ In this dramatic critique of our current approach to heart disease, Dr. Ozner explains the dangers behind common procedures such as angioplasty and stents, which make arteries "look" pretty to patients, but fail to address the underlying causes of blockages. ~ America's Industry of Intervention~ The AHA president of Miami explains why popular tests such as the 64-slice CT are overused cash cows for the medical establishment. Audiences learn why many common diagnostic tests are a waste of money and can jeopardize their health by leading to unnecessary medical interventions in stable patients. ~ Bypassing Bypass ~ AHA president Dr. Ozner says a large percentage of patients who undergo the dangerous bypass operation don't need it. Not only is their evidence that a bypass operation decreases the risk of future cardiac events attacks, but the bypass itself leads to a host of complications. Audiences learn about the "disease of bypass surgery" and find out how to go after blockages aggressively with diet, lifestyle, and appropriate medication. ~Heart Disease Prevention in Women ~ Many women and their doctors are unaware of the important differences between women and men when it comes to heart health. Dr. Ozner offers a wealth of new studies and information for women regarding risk factors, tricky and hidded symptoms, pros and cons of common medications, and what steps women should take if they have a cardiovascular condition.